This collaborative conference series is established to enable technological developments in the various fields of materials and to further the goal of unifying materials research in engineering, physics, biology, materials science, as well as chemistry and neuroscience. 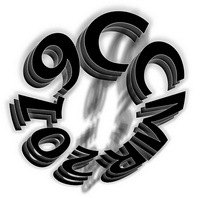 CCMR 2019, as the nineth conference in this series, offers materials researchers the opportunity to discuss and exchange information with the frontiers in their fields and network with scientists from various other fields for potential interdisciplinary collaborations. The conference will be opened by the plenary session with the appearance of significant speakers focused on research and applications of nanomaterials: Prof. Dr. Niyazi Serdar Sariciftci (Director of Institute for Physical Chemistry, Founding Director of the Linz Institute for Organic Solar cells (LIOS) at the Johannes Kepler University of Linz, Austria., inventor of conjugated polymer and fullerene based "bulk heterojunction" solar cells) and Assoc. Prof. Dr. Martin Pumera (Director of the Center for Advanced Functional Nanorobots; University of Chemistry and Technology in Prague, “2017 & 2018 Highly Cited Researcher” – by Clarivate Analytics). More information about invited speakers is available on the Conference website. The BIOSCOPE group from the FCT - University NOVA of Lisbon, and the PROTEOMASS Scientific Society welcome you to the seafaring village of Costa de Caparica in Portugal for tthe 4th ISN2A 2020 edition. The series of the International Symposium on Nanoparticles/Nanomaterials and Applications, ISN2A, was created in 2014 by Prof. Lodeiro and Prof. Capelo with two main aims, to promote the sharing of knowledge in nanosciences as well as to foster the creation of international teams to boost advances in the field of nano. Luckily, such goals were achieved during the last biannual three previous editions. The commitment for the internationalization of the ISN2A series has been always successfully accomplished in the previous editions, with more than 35 countries each and a maximum of 250 participants. The creation of new collaborations between teams of different countries and continents was happily achieved. The conference venue is located in the little and pictorial village of Costa de Caparica, which will aim people to stay together, thus promoting the interchange of ideas. And yet, the capital, Lisbon, can be reached within the blink of an eye (10Km), giving thus the chance to a quick visit to relax. MacDiarmid Institute for Advanced Materials and Nanotechnology would like hold the 9th International Conference on Advanced Materials and Nanotechnology (AMN9) at the National Museum of New Zealand Te Papa Tongarewa, in Wellington from the 10th to the 14th of February 2019. AMN9 is the ninth event in our biennial conference series which focuses on cutting-edge research in nano science and technology. The topics covered reflect the broad scientific interests of the MacDiarmid Institute and range from nano-bio interfaces, nano medicine, materials for photovoltaics, to novel electronic devices (including spintronics and valleytronics). The programme will include a line-up of world-leading plenary speakers, cutting edge keynote talks, as well as contributed oral and poster presentations. One of their main goals is to create a stimulating environment to present new results and exchange scientific ideas. More details is available at the web page of the conference. 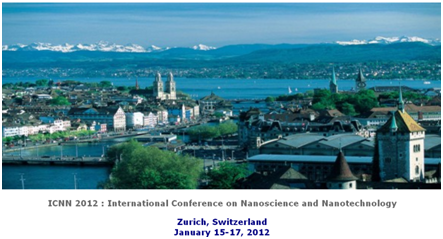 The Applied Nanotechnology and Nanoscience International Conference is an annual event. It hosts high-profile plenary speakers, world-class researchers, oral and poster presentations, workshops, sponsor exhibits and afterworks. This event is a great opportunity to share your research findings with a wide audience, promote knowledge exchange, and network. Come to share during this fourth edition. Highly ranked keynote and invited speakers already confirmed their attendance. Plenary lecture will be given by Prof. Dr. Paras N. Prasat (University at Buffalo, New York State, U.S.A.) focusing on photonics and biology to impact on energy and health care, and Prof. Dr. Antonio H. Castro Neto (National University of Singapore and Boston University/USA), one of the leading theorists in the study of graphene. Confirmed speakers include also: Prof. Dr. Wilfried Vandervorst (IMEC, Leuven, Belgium), Prof. Dr. Andrei V. Kabashin (CNRS, Aix-Marseille University, France), Dr. Antonín Fejfar (Institute of Physics CAS, Prague, Czech Republic), Prof. Dr. Karl-Heinz Ernst (Swiss Federal Laboratories for Materials Science and Technology, Dübendorf, Switzerland) and others. More on Invited speakers is available at the web page of the conference. Nanophotonics in the last years is showing clearly its inclusive nature. Several disciplines are taking advantages in using novel tools derived from the astonishing progress in Nanophotonics, for exploring novel fundamental properties of materials on different length scale. The optical methods, both experimental and theoretical, are ubiquitous in several fields facilitating the development of a common language even for disciplines considered far, just a few years ago. This third edition of NANOP confirms a broad topics list with the aim of bridging the macro with the molecular world. The International Conference On Nanomedicine And Nanobiotechnology is an annual event. It hosts high-profile plenary speakers, world-class researchers, oral and poster presentations, workshops, sponsor exhibits and afterworks. It is a great opportunity to share your research findings with a wide audience, promote knowledge exchange, and network. For more informations about 'INTERNATIONAL CONFERENCE ON FUNCTIONAL NANOMATERIALS AND NANODEVICES' please follow the event's link below. The conference will be free of charge for presenters and visitors. There will be an opportunity to publish peer-reviewed and accepted papers in a Special Issue in Nanomaterials (https://www.mdpi.com/journal/nanomaterials). MDPI offers a 20% discount on the publication fees for this Special Issue. MDPI will be attending the 2018 PNCMI (Polarised Neutrons for Condensed-Matter Investigations) International Conference during the two day exhibition held on 4–5 July. If you are also attending this conference, please feel free to stop by our stand. Our delegates look forward to meeting you in person to answer any questions you may have. For more information about the conference, please visit official website. CARBON 2018 will take place in Madrid. The Conference aims to provide an innovative and comprehensive overview of the latest research developments on carbon science and applications. We trust that you will enjoy the Conference and that the interaction with colleagues worldwide will stimulate a creative exchange of ideas. We also hope you enjoy your visit to Madrid, a cosmopolitan and friendly city with enjoyable day and night life. It is known for its rich historic, cultural and artistic heritage, as well as its traditional cuisine. The city has an efficient public transportation network and Madrid-Barajas Airport has direct and connecting flights to all points around the world. Participants from the top international academic, government and private industry labs of different disciplines participate in Nanotech France 2018 to identify new technology trends, development tools, product opportunities, R&D collaborations, and commercialization partners. It is an excellent event for students to meet and discuss with lead researchers. The conference provides an unprecedented opportunity to discover innovation in the area of nanotechnology and new business opportunities. It is among the most important events in terms of international regulatory policies and it is open to the participation of private companies. The 4th edition of the International conference and exhibition on NanoMaterials for Energy & Environment - NanoMatEn 2018, is an ideal opportunity to the researchers and industrials to show the recent efforts made through nanoscience and nanotechnology toward meeting the pressing energy and environmental challenges that humankind faces. It will be an opportunity for them to examine future directions of nanomaterial development and encourages future efforts. The conference program will include contributions from world-renowned specialists in the fields of nanomaterials, energy, and environmental science. 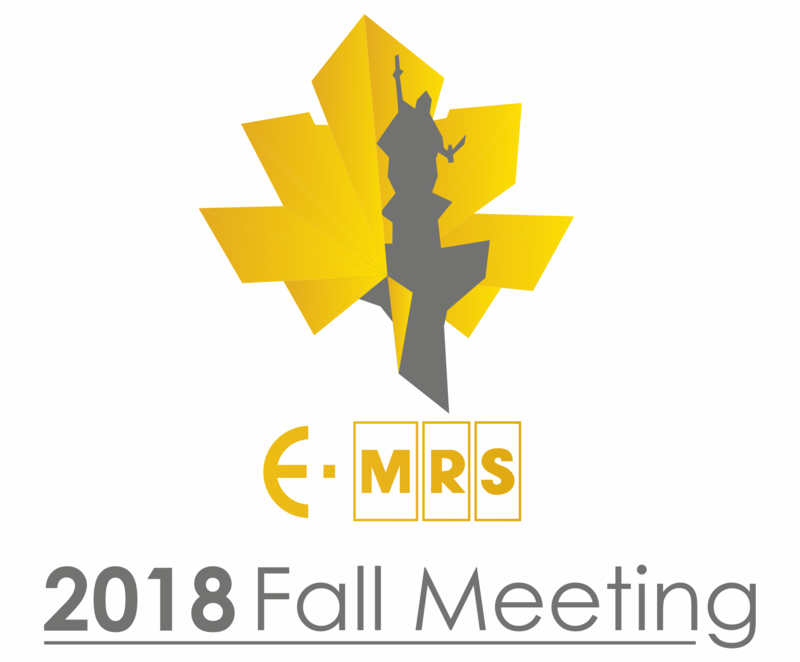 The 2018 E-MRS Spring Meeting and Exhibit will be held in the Convention Centre of Strasbourg (France), from June 18 to 22, 2018. The conference will consist of 29 parallel symposia with invited speakers, oral and poster presentations and a plenary session to provide an international forum for discussing recent advances in the field of materials science. The conference will be augmented by an exhibition of products and services of interest to the conference participants. NanoWorld Conference (NWC-2018) aims to provide high quality current reports of scientific progress and best practices in the field of Nanotechnology through its invited presentations, submitted oral and poster abstracts. The conference is designed to encourage the exchange of ideas across a broad range of disciplines. The primary goal of NWC is to present state-of-the-art research, recent achievements and global trends in nanoscience and nanotechnology, also to promote cross-disciplinary interactions that can spur the development of this exciting research field. Special emphasis will be placed on energy materials and applications, nano-biotechnology, health and environmental safety of nanomaterials and specific techniques to develop nano-devices. The conference will witness important presentations by extensive range of eloquent speakers, policy makers and scientific leaders from around the world; who will assemble in San Francisco with the common objective of making this world a better place by providing solution to the problems. NWC-2018 welcomes all participants, contributors and speakers to the outstanding conference and welcome to the City of San Francisco for the hospitality. On behalf of Nanotechnology-2018, Scientific Future Group invites you to take this opportunity to join us for academic exchange and visit the city of Valencia, Spain. We look forward to seeing you in nanotechnology and Materials Science 2018. 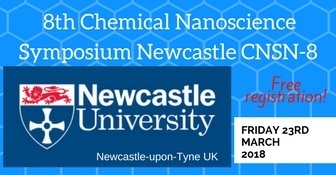 For more informations about '8th Chemical Nanoscience Symposium Newcastle 2018's link below. Time and location: February 14 (Wed) – 16 (Fri), 2018. Welcome to the official website of the 2018 6th International Conference on Nano and Materials Science (ICNMS 2018). The conference will be held in Florida Polytechnic University, FL, USA during January 15-17, 2018. The aim of ICNMS 2018 is to present the latest research and results of scientists related to Nano and Materials Science topics. This conference provides opportunities for the different areas delegates to exchange new ideas and application experiences face to face, to establish business or research relations and to find global partners for future collaboration. We hope that the conference results constituted significant contribution to the knowledge in these up to date scientific field. ICNMS 2018 is organized by the South Asia Institute of Science and Engineering (SAISE). ICNMS 2018 is expected to be more exciting, stimulating & educative. The intention is to establish an effective platform for institutions and industries to share ideas and to present the works of scientists, engineers, educators and students across the globe. The organizing committee of Symposium is pleased to invite prospective authors to submit their original manuscripts for possible presentation at ICNMS 2018. Attract high-quality papers in different subfields. Offer the opportunity to be updated on the latest research outputs on several Nanotechnology and Nanoscience topics. Owing to the unique optical properties of nanometre-scale systems, Nanophotonics has become a very efficient tool to control light-matter interaction beyond the limit of diffraction. Recent developments in this field have shown the immense potential of nanophotonics to contribute to a wide spectrum of scientific disciplines, ranging from fundamental physics to optical engineering, and from biology to clean energies. This second edition of the NANOP conference focuses on the transversal nature of Nanophotonics, by offering an international forum on the latest advances in the field from basic to applied research. The International Conference on Nanostructures, Nanomaterials and Nanoengineering 2016 (ICNNN 2016), is a premier event that address the new advancements and challenges in the field of Science, Engineering and Management. The Nano S&T-2016 will be held in Singapore during October 26-28, 2016. It covers all frontier topics in advanced nanomaterials, nanoelectronics, applications of nanotechnology, nanomedicine and biomaterials, etc. The aim of the conference is to bring together leading scientists, researchers, engineers, practitioners, technology developers and policy makers from multidisciplinary research and application areas to exchange information on their latest research progress and innovation, to discuss the benefits of Nanotechnology and materials science in their research and development efforts to advance the networking, and collaborating between different academia, research and market leaders in the field. It provides an unprecedented opportunity and effective platform for institutions and industries to share ideas and discover innovation in the area of nanotechnology and develop new business opportunities. The aim of ICANMA-2016 is to present the latest research and results of scientists related to Nano and Materials Science topics. This Conference will provide a multidisciplinary platform for scientists, faculties, and research scholars from various disciplines to discuss the recent development in nanoscience, materials sciences and engineering. This ICANMA-2016 also targets to support interchange of novel ideas and create a platform for collaborative endeavours in the emerging interdisciplinary areas and provide an opportunity for the younger scientists to get exposed to the excitement of materials research. Contributory papers relevant to the development of nanoscience, materials sciences and engineering in the nano and material fields are invited. NANOSMAT is a premier conference in the field of materials related Nanoscience, Engineering and Nanotechnology. The conference fosters the gathering of talented and truly international people to exchange novel ideas, share new knowledge and technical know-how in the broad fields of nanoscience and technology. The objective of ICANM 2016 is to explore the innovations and latest accomplishments in the areas of Advanced & Nano Materials. The conference will also focus on the latest developments in processing of different advanced and nano materials. NANOSEA is an international conference in the field of NANOstructures and nanomaterials SElf-Assembly. The sixth edition will be held in Giardini Naxos (Me) on 3-8 July 2016. The conference will foster the gathering of multidisciplinary community of researchers operating in all the fields of nanostructures from their formation to their properties and applications. We envision the ECI Nanotechnology in Medicine conference to provide a platform to aid in the mechanistic understanding of cellular and molecular interactions/responses induced by nanotechnologies and the exploitation of these understandings to generate highly effective nanotechnologies for the early detection, imaging and treatment of human diseases. The conference will bring together biologists, materials scientists, physicists, engineers and clinical scientists. The PCNSPA Conference 2016 will provide an international forum for physicists, chemists, biologists, material scientists, polymer scientists, chemical engineers and researchers in Photonic colloidal nanostructures to gather and discuss their latest results in one of the most exciting fields of contemporary research, and to develop and extend their international collaborations. The aim of the conference is to create an international platform for the presentation and discussion on the latest scientific achievements and introduced innovations in the field of nanoscience and nanotechnology. The conference will bring together scientists, experts, practitioners, and policy makers, representatives both of academia and industry, therefore will create a great opportunity for finding new research and commercialization partners. This will be particularly fostered by the conference Exhibition and Exhibition Day, which is open to the participation of private companies. The conference will be also an excellent event for young researchers, as it will provide with the Young Researchers Forum, where they will have an opportunity to present and discuss on their scientific achievements in front of the renowned scientists. The aim as well as objective of ICNNE 2016 is to present the latest research and results of scientists related to Nanotechnology and Nanomaterials in Energy topics. This conference provides opportunities for the delegates to exchange new ideas face-to-face, to establish business or research relations as well as to find global partners for future collaborations. We hope that the conference results will lead to significant contributions to the knowledge in these up-to-date scientific fields. Young Giants of Nanoscience 2016 aims for gathering some very-best young scientists in the field of nanoscience and technology to present and discuss their state-of-the-art findings, and to seek collaboration among the attendees. 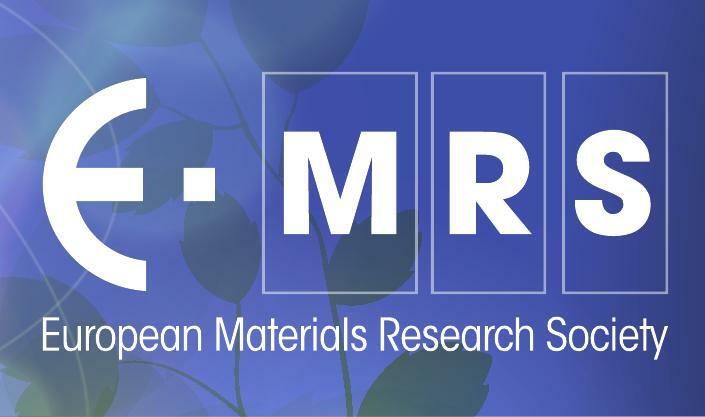 GM-2016 aims for the research progress on the properties and applications of grapheme and related materials. This meeting aims to provide an opportunity for researchers from different backgrounds and disciplines, such as chemists, material scientists and physicists, to interact. 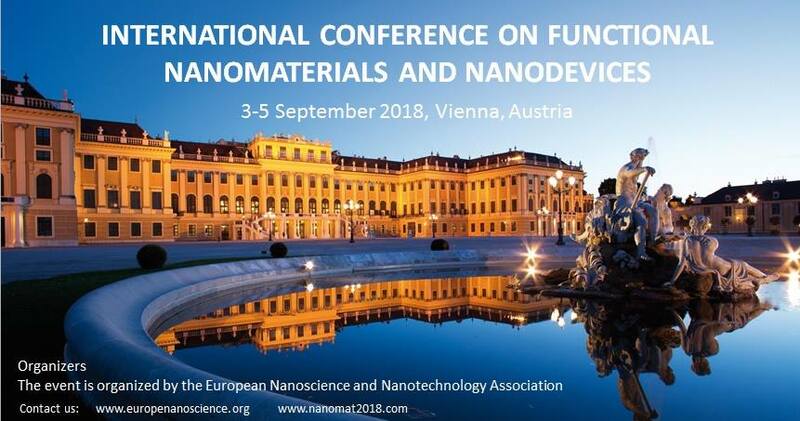 The conference will bring together an outstanding and diverse group of scientists who are making exciting contributions in both fundamental and applied research within the field of colloidal nanocrystals. ICONN 2014 will feature outstanding international plenary speakers and will hold a number of short courses in a number of areas related to nanoscience and nanotechnology. The 2014 Conference in Adelaide will showcase the latest developments in the instrumentation, specimen preparation and integration of microscopy and microanalysis ofdifferent areas of physical and biological sciences. This conference aims to provide a forum for researchers, scientists and engineers from different countries worldwide, who are actively involved in the research on nanoscience and nanotechnology, in particular on carbon-based nanomaterials and their device applications such as biological and chemical sensing, energy conversion and harvesting, electronic and photonic applications, catalysis, electrochemistry, and simulations, to disseminate their latest research results and development achievements. The mission of Executive Conference Management, Inc. is to organize top-quality technical conferences, educational seminars, and symposia in the science, technology, and business of polymers and related materials. The ECM events serve as international forums for disclosure of new scientific developments and technological innovations by leading scientists and engineers from all over the world. An independent Scientific Committee oversees the technical content of every program for novelty, excellence, quality, and value. The overall aim of NANOSAFE2 is to develop risk assessment and management for secure industrial production of nanoparticles. As the world of nanoparticles is already very wide today, only a finite number of reference cases of nanoparticles will be treated. These cases will be representative of main particle characteristics, main production processes and related risks. NANOSAFE2 starts from the paradigm of risk assessment and risk management, which is used in risk analysis worldwide. In NANOSAFE2 the two different types of risks will be accessed: explosion during manufacturing processes and human health due to nanomaterial exposure. The risk assessments in the project will estimate whether and/or how much damage or injury can be expected from exposures to a given risk agent, and to assist in determining whether these effects are significant enough to require action (modification of production systems, regulations, etc.). NANOSAFE2 goes beyond classic risk assessment by having a pro-active risk management strategy: choices to be made in order to solve the most vexing problems will be formulated and decision makers, safety regulators and other stakeholders will be involved to formulate preventive measures and guidelines for production processes and safe use. The 2nd Annual World Congress of Nano-S&T is hosted by Information Research Center of International Talent, China Medicinal Biotech Association and China Council for the Promotion of International Trade Dalian Sub-council, and it is operated by BIT World Congress (Dalian) Inc., the Foreign Experts Databank of SAFEA-Dalian Biotechnological and Medical Experts Subdivision. By programmed with 12 streamlines, this conference is aimed to be a dedicated event for nanoscience and nanotechnology professionals. The program highlights some recent breakthrough stories and successes in this particular field. Over the conference period, you will have opportunities to share information and the best practices on from current research to commercial implementation of new technologies. At the same time, we would explore further communication and collaboration through social activities during the conference. This symposium will focus on nanostructured materials especially based on ceramics and polymers for structural and functional applications. Their processing as bulk materials, particles, composites and fibers will presented, especially the influence of processing conditions on material properties. The many national programs on science and nanotechnology are providing research discoveries that hold considerable promise for both evolutionary and disruptive technology innovation. NT4D focuses on accelerating the rate of transition from discovery to technology, and is committed to providing a fertile and stimulating forum for discussion on recent nanotechnology innovations in order to maximize their impact on defense and dual-use technologies. This focused conference brings together technical representatives from industry, academia, and government to discuss defense technology needs, identify exciting nano advances primed for technology development, forge connections to facilitate and accelerate the development process, identify obstacles to the accelerated transition of nanotechnology and emerging technology innovations, and address the most critical issues in real and emerging needs for defense. Collaboration and opportunities for innovation are a primary focus for this event. Nano-science is ubiquitous in the modern world. Objects with nanometer dimensions are used in computing and electronics, catalysis, photonic- and structural materials. Fabricating such nano-objects and properly characterizing their functionality is a challenge for many fields. This workshop brings together people engaged in pushing the limits of fabricating, imaging and understanding nano-objects. It will have sessions focused on the functionality of such material as well as on the techniques used to study them. Leading international experts will review the status of the field. Contributed talks and poster sessions will provide a forum for exchange of ideas and future collaboration. An industry exhibit will allow researchers to discuss the state-of-the art in commercial instrumentation. The NT conferences are the most influential meetings focusing on nanotube research and have been held for 12 years around the world. The thirteenth one will take place in 2012 in Brisbane, Australia. NT12 will continue the NT tradition of presenting the most exciting and current results in the research, development and applications of nanotubes and related materials. 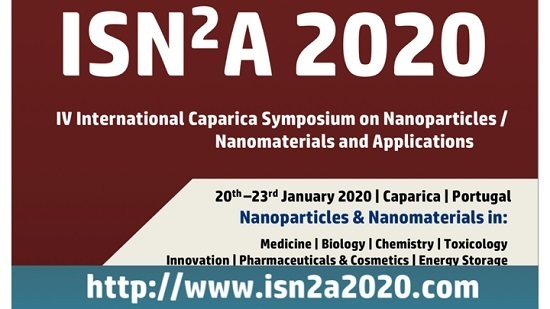 It will present a comprehensive program in carbon and non-carbon (e.g., BN, TiO2, MoS2) nanotubes and graphene in recognition of the burgeoning interest in these inter-related materials. NT12 will provide an outstanding venue to present and discuss the current state progress, directions and opportunities in a dynamic scientific and social environment. The world’s largest nanotechnology event, Nanotech 2012, delivers application-focused research from the top international academic, government and private industry labs. Thousands of leading researchers, scientists, engineers and technology developers participate in Nanotech to identify new technology trends, development tools, product opportunities, R&D collaborations, and commercialization partners. Join the global community that has been working together for over 15 years to integrate nanotechnology into industry with a focus on scale, safety and cost-effectiveness. The first Nanotechnology Conference and Expo—Nanotech 1998—was held at in Santa Clara, California. A group of 250 scientists and researchers gathered to discuss and share developments, innovations and research in the growing, but still emerging science of Nanotechnology. The event, sponsored and organized by Matthew Laudon and Bart Romanowicz of the Nano Science and Technology Institute, was such a success that it became an annual event, attracting over 3,500 attendees in 2011. Every year since those humble beginnings, the conference has grown in both scope and audience. It now ranks as the largest international nanotechnology conference in the world. The conference no longer exclusively focuses only on scientists and researchers, although sharing research and developments remains a cornerstone of the conference. Nanotech now reaches out to investors, venture capitalists and business executives interested in how nanotechnology can drive business in the 21st century. Nanotech has continued to add vendors, a broader array of speakers and a diverse set of programs aimed at both scientists and business leaders. Nanotech 2012 is expected to be the largest conference to date. 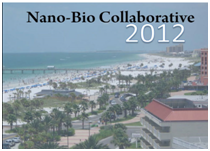 Nano-Bio Collaborative Conference 2010, held for the first time at the University of South Florida in November 2010 was a great success. At the inaugural Nano-Bio Collaborative (NBC) Conference 2010 event held at the University of South Florida, we had over 150 participants and the number increased ever since. This event engaged students and faculty from several Florida Universities and eminent nanoscientists from all over the US. NANO-2012 is a remarkable event which brings together a unique and international mixture of large and medium pharmaceutical, health care, food technology, biotech & diagnostic companies, few of the research institutes to most of the leading universities; making the congress a perfect platform to share, experience, foster collaborations across industry & academia and evaluate emerging technology/engineering across the globe. The VIII. International Conference on Nanoscience and Nanotechnology is the premier forum for the presentation of new advances and research results in the fields of Nanoscience and Nanotechnology. The conference will bring together leading researchers, engineers and scientists in the domain of interest from around the world. The conference will actively foster the dialogue between experimentalists and theoreticians. Contributions may include, but are not limited to, issues as diverse as nanocrystal nucleation and growth, synthesis methods, surfaces and surface ligands, physical properties of nanomaterials (optical, magnetic, electrical, etc. ), catalytic nanomaterials, graphene, applications in the areas of bioimaging, drug delivery, energy conversion and others, as well as the modelling of all of these aspects. 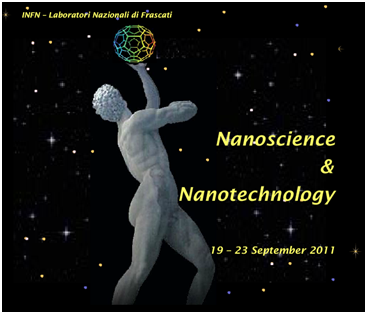 The conference in 2011 is devoted to recent developments in nanoscience and its manifold technological applications. It consists of a number of tutorial/keynote lectures, as well as research talks presenting frontier nanoscience research developments and innovative nanotechnologies in the areas of biology, medicine, aerospace, optoelectronics, energy, materials and characterizations, low-dimensional nanostructures and devices. This conference will also provide a golden opportunity to develop new collaborations and meet world nanotechnology experts on the fundamentals, applications and products. Through the 2nd conference a great opportunity to share knowledge and expertise will be created taking advantage from the synergy of the 1st conference. Participants at the 2011 Gordon Conference on Environmental Nanotechnology will present and discuss cutting edge research on chemical, biological and environmental impacts of engineered nanomaterials. The conference will feature a wide range of topics, including; synthesis, characterization, exposure, toxicology, metrology, and risk assessment. In addition, the basic mechanisms by which nanoscale materials interact with similar sized particles, larger particles, as well as mixtures will be thoroughly examined. Transport, transformation and ultimate fate of these materials in biological and environmental matrices will be explored. This Conference will bring together prominent investigators who are at the forefront of their research fields and will provide unique opportunities for early career investigators, postdoctoral and graduate students to present their work in poster formats. Invited speakers will include those engaged in research at the intersection of nanotechnology and the environment - materials scientists, engineers, biologists, toxicologists, physicists, chemists and environmental scientists. In addition, competitive posters will be selected for short oral presentations. The interdisciplinary atmosphere of this conference will generate and inspire research that will fundamentally alter the impacts of engineered nanomaterials on human health and the environment. Energy, the environment and human health have emerged as strategic priorities not only in research but in all aspects of our lives. Hybrid materials have already demonstrated good promise in addressing and offering solutions in each of these priority areas. The conference will start on Sunday 6 March at 14:00 and finish on Thursday 10 March at 16:00. Each day will start will a Plenary Lecture followed by 3 parallel symposia focusing on the following topics: Biohybrids and biomaterials; Functional hybrid nanomaterials, nanocomposites and their applications; Functional porous materials. The biennial conference offers a broad interdisciplinary overview of advanced materials and nanotechnology, and provides an exciting forum to discuss new and exciting advances in the field.